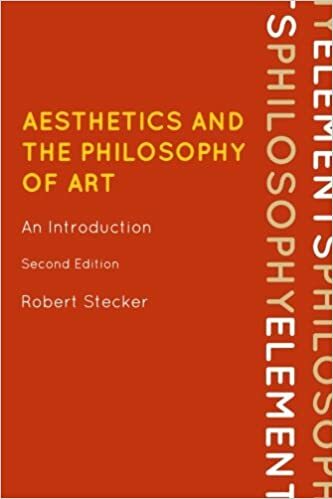 Praised in its original edition for its up-to-date, rigorous presentation of current debates and for the clarity of its presentation, Robert Stecker's new edition of Aesthetics and the Philosophy of Art preserves the major themes and conclusions of the original, while expanding its content, providing new features, and enhancing accessibility. Stecker introduces students to the history and evolution of aesthetics, and also makes an important distinction between aesthetics and philosophy of art. While aesthetics is the study of value, philosophy of art deals with a much wider array of questions including issues in metaphysics, epistemology, the philosophy of mind, as well value theory. Described as a 'remarkably unified introduction to many contemporary debates in aesthetics and the philosophy of art,' Stecker specializes in sympathetically laying bear the play of argument that emerges as competing views on a topic engage each other. This book does not simply present a controversy in its current state of play, but instead demonstrates a philosophical mind at work helping to advance the issue toward a solution.